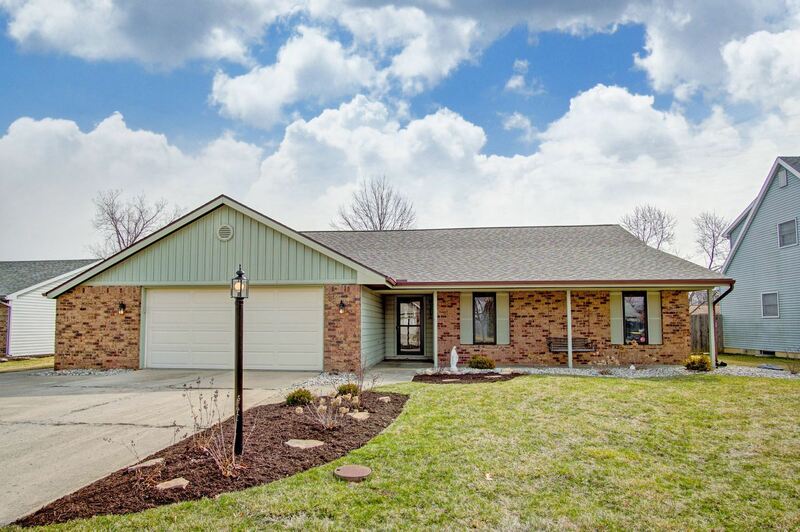 Located in the desired Lincoln Village subdivision, this ranch style home is full of character and charm. As you pull up to the home, you will notice the front of the home has new siding that is now maintenance free along with a new roof. Upon entering the home, you will find a vaulted lodge like wood ceiling in the large sunken living room with brick fireplace and built-ins. The living room, foyer, hallways and bathroom all have new flooring. The dining room with bay window for extra room is just a step up off the living room and off the kitchen. The large kitchen has lots of counter space and enough room for an eat in kitchen. The laundry room is just off the garage and kitchen with folding surface. The garage is spacious with extra room for more than two cars. All bedrooms are off to the other side of the house with two bedrooms sharing a bath and the master having a vaulted full bath with lots of room. The backyard is private and large. This owner loves the walking paths all around the neighborhood including four parks and pond. Improvements include new garage door, flooring, water heater, roof, new landscaping, composite siding for the front of the house and AC unit. Util are low avg gas $57, electric $93 and city util $86.